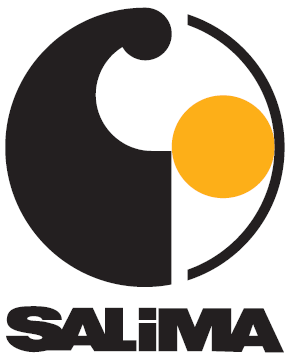 Salima, an international trade show, takes place in BRNO, Czech Republic from 27th February – 2nd March and will provide a full overview to local and foreign suppliers regarding food, ingredients, alcoholic and soft drinks, sweets, coffee, tea and delicatessen processing. The exhibition is considered one of the big gest shows in Central and Eastern Europe due to an extensive representation of professionals from food, beverage and processing industries. Next to impressive demonstrations of industrial equipment, visitors will be able to taste food, wine and beer provided by microbreweries. Two other shows will also be hosted at the same location, each specifically designed for different target groups within the food industry. The MBK trade show will represent the leading technology suppliers and manufacturers from the milling, bakery and confectionery industries, while Inteco, a leading event for retail and hospitality trade, will showcase technology and processing equipment for food and drinks, and represent a wide variety of companies which deliver services to shops, hotels and caterers worldwide. As a manufacturer of food processing equipment with over 80 years of experience Russell Finex will once again present their industrial sieves and filters at Stand 011A in Hall V.
This year visitors will be able to see live demonstrations and problem-solving solutions from Russell Finex’s extended range of equipment including the Finex 22™ Sieve, Russell Eco Filter®, Russell Compact Sieve® and Vibrasonic® Deblinding System. The Finex 22™ Sieve is an ideal solution for sieving or grading powders and granules in continuous operation or in batches. A high-speed version of the machine is available for screening difficult powders and viscous liquids. For high capacity safety screening, the Russell Compact Sieve® removes all oversize contamination from powders and liquid slurries. At the show this unit will be demonstrated with the Vibrasonic® Deblinding System, an ultrasonic deblinding system used to eliminate mesh blockages ensuring screening equipment performs to its optimum. The ideal solution for removing contamination from products such as honey, liquid chocolate and caramel, is the Self-Cleaning Russell Eco Filter®. This industrial filter removes contamination from liquids in a continuous operation, reducing costs and safeguarding operators health. Visit Russell Finex at Stand 011A in Hall V to find out more about food processing equipment, and meet a team of experienced sales engineers who will be able to help you with your unique requirements.